You must be a member of the Munich Lunch Group to attend this activity. Would you like to join this group? This time we skip lunch and go to see a play! 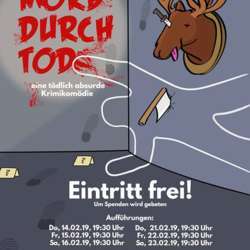 The play is in GERMAN and will be on stage for six times. I will be part of the ensemble and hope to see some of you guys there!